First Shipment of Talented Turtle Arrived! Look what arrived today! If you want one, come to Just Between Friends at the Skagit County Fairgrounds next weekend anytime Thursday-Sunday to purchase one and get it signed by me. My application for the Snohomish Farmers Market was accepted. That’s another four days you will have to come meet me, buy a book, and have me sign it. Check out the “Scheduled Appearances” portion of the site to see the dates and click the image below to find out more about the Snohomish Farmers Market. Great news! I will now be at Just Between Friends at the Skagit County Fairgrounds next weekend starting on Thursday instead of Friday. 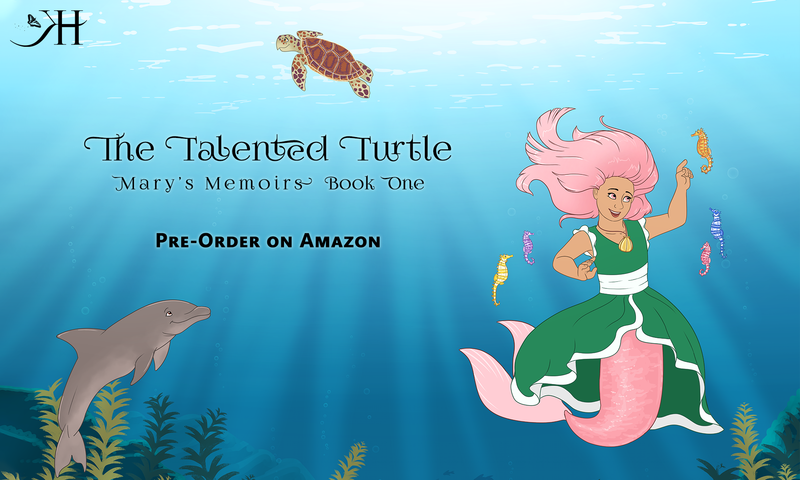 That gives you a whole other day to come see me and/or purchase The Talented Turtle (Mary’s Memoirs Book 1). Click below to find out more about the event. The Talented Turtle comes out tomorrow! Today is the last day to get it for Kindle for $.99. The price will go up to $2.99 tomorrow. It will also be available for print on Amazon for $7.99 or $6 if you buy it at one of my events. Your first opportunity to purchase The Talented Turtle in person will be the weekend of April 26. I’ll be at Just Between Friends at the Skagit County Fairgrounds and will have copies available for purchase. Click the image to go to the Amazon page and check it out. In lieu of Meme Monday, I am making a very exciting announcement. I’ve decided that my drawing will be used as the new cover for The Talented Turtle. I’ll just scan it and go from there. I’m so excited! Got my outdoor office set up. Oh, the joys of working from home.